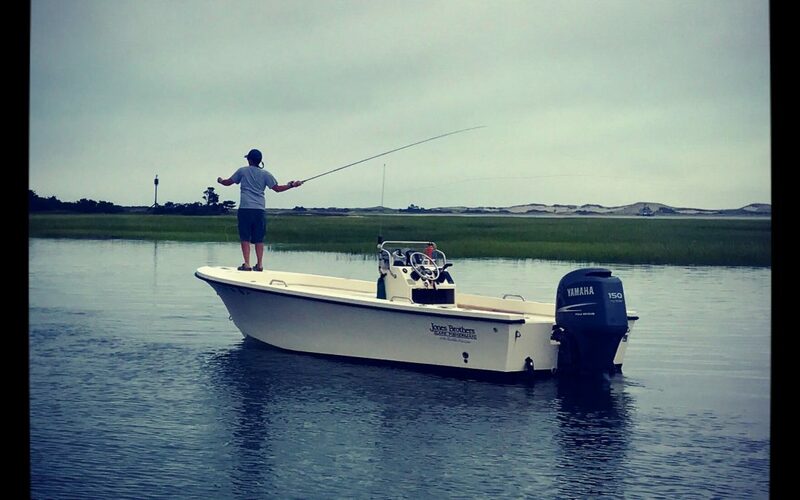 The calendar may still read August, nevertheless, September Fishing is here. The birds are all over the harbor, chasing schools of striped bass and making their mark on all of the boats moored in the harbor. Barn­sta­ble Har­bor fly fish­ing has some of its best fish­ing dur­ing the fall striper run. The har­bor gets mel­low as the marsh­es turn gold­en and sum­mer fades away open­ing the door for fall and its colours. At this point the bait is large­ly sand eels and peanut bunker. The men­haden have yet to find their way here, nev­er­the­less, we antic­i­pate their immi­nent arrival. For those not yet accus­tomed to throw­ing a fly, Salty Fly Cape Cod fish­ing char­ters can give you a hand. Con­di­tions per­mit­ting, the good ship “Gravy” is the per­fect cast­ing plat­form for some tri­al casts (of course, there is no bet­ter place to prac­tice than your own back­yard). If spin­ning rods are your pre­ferred fish­ing tool, come try the lat­est and great­est lure Cape Cod has to offer, the Albie Snax. Although Cape Cod Bay and Barn­sta­ble Har­bor are not typ­i­cal­ly albie fish­ing ter­ri­to­ries, stripers love to slurp up these deli­cious lit­tle rub­ber sand eel imi­ta­tions. Call 508–362-5482 or email saltyflycapecod@comcast.net any­time for an up-to-date fish­ing report.